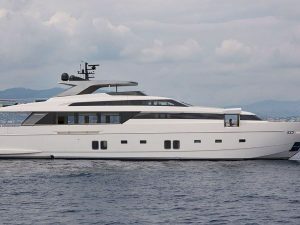 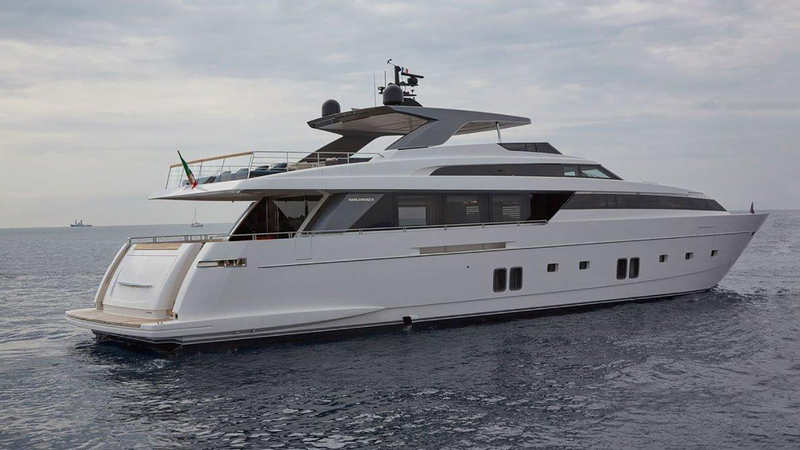 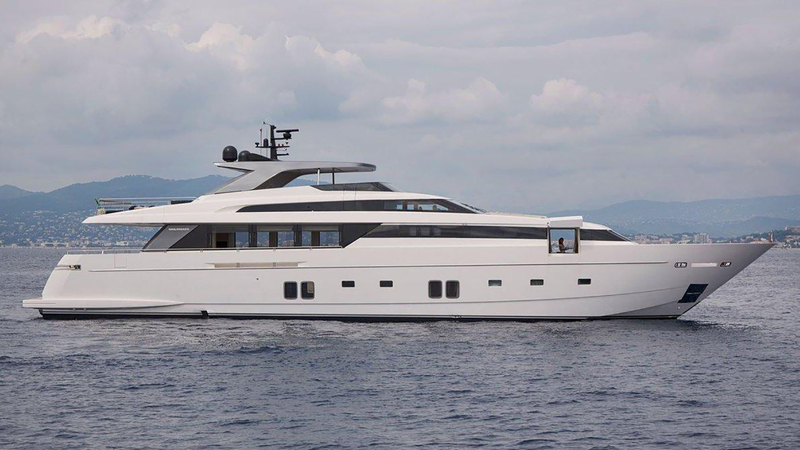 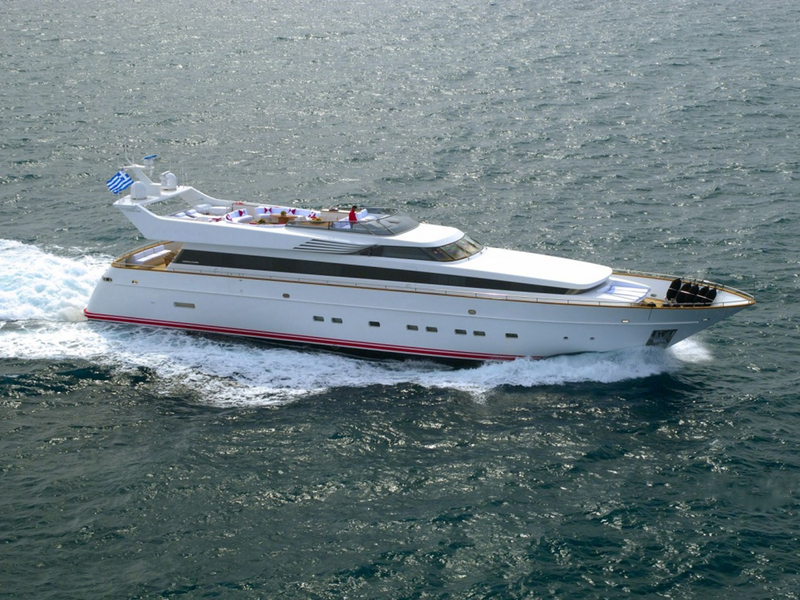 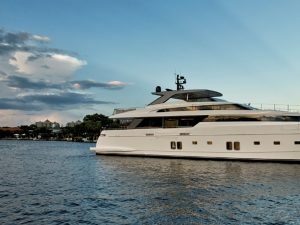 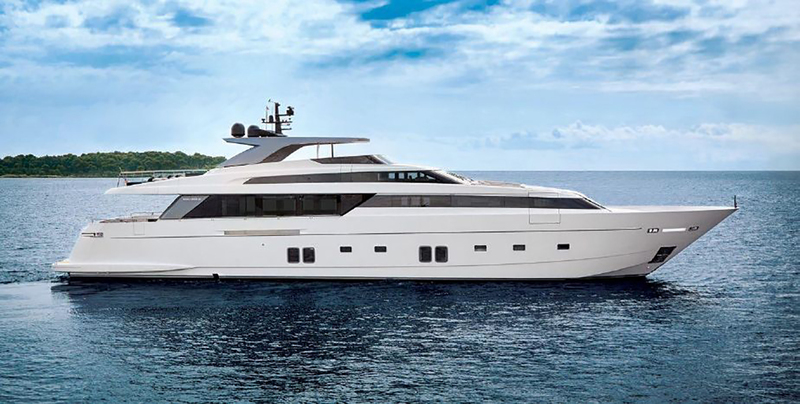 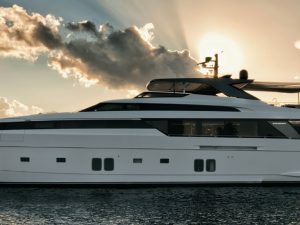 This 36.5 meters San Lorenzo SL118 designed by Francesco Paszkowski, was delivered in 2014. 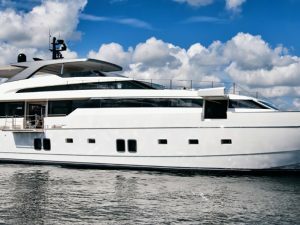 She is a unique opportunity as she was recently commissioned for her current owners, however she was never used by them. 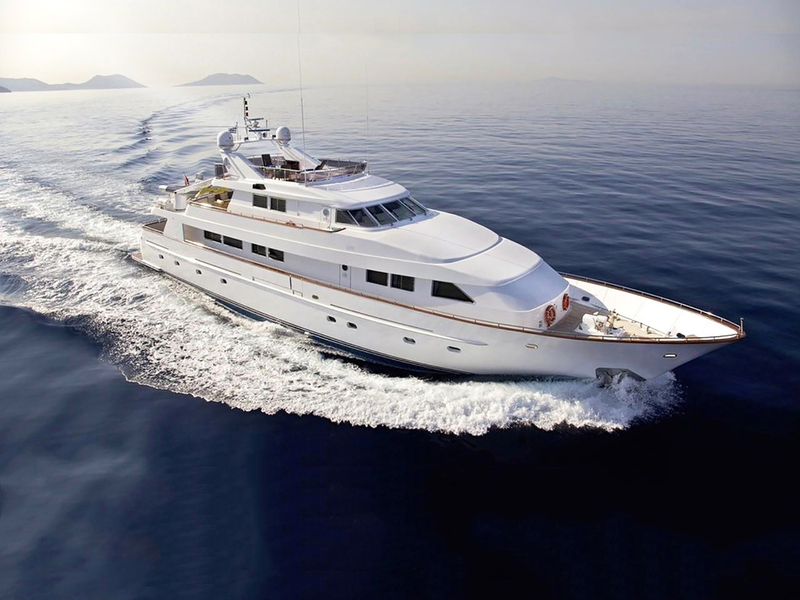 She has exceptional specifications and she is for sale at a significant saving on new. 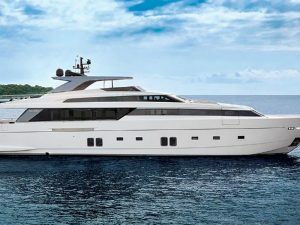 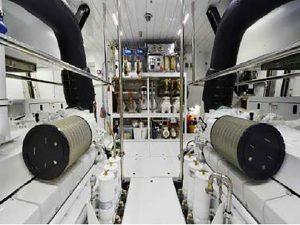 Moreover, full shipyard warranties will be available to the buyer. 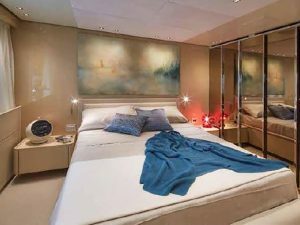 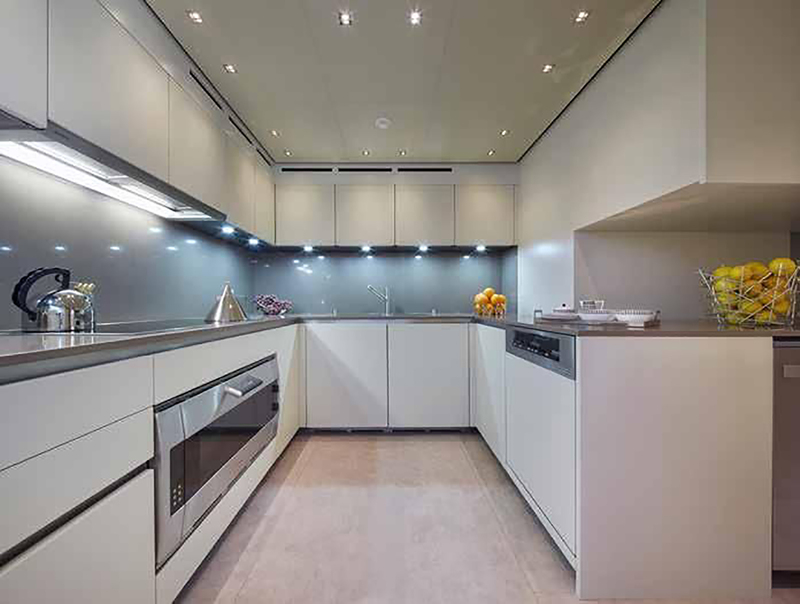 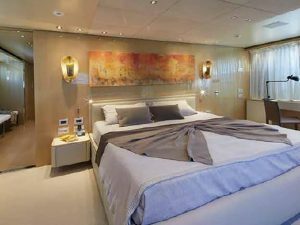 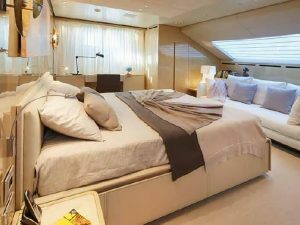 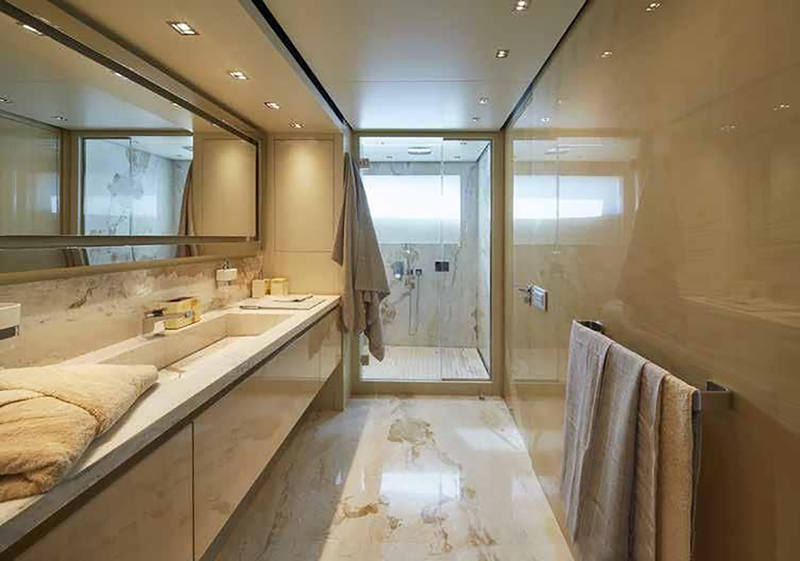 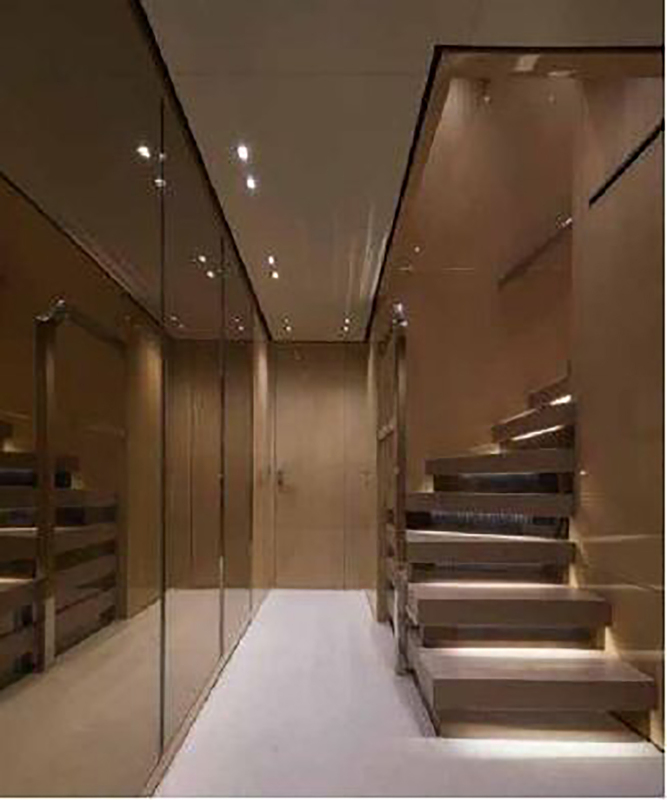 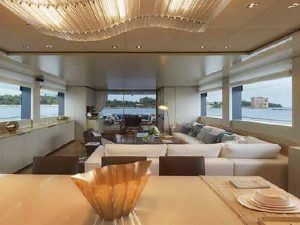 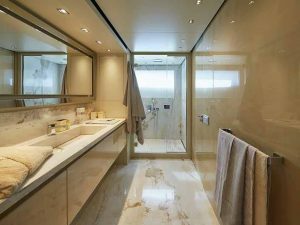 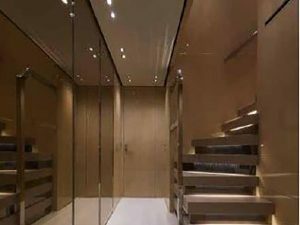 Subtle cream and white tones dominate her interior which is a total design by the Italian shipyard. 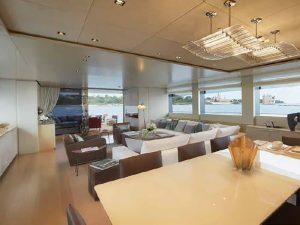 The main salon features a white L-settee sofa combined with two light brown armchairs and a stylish table. 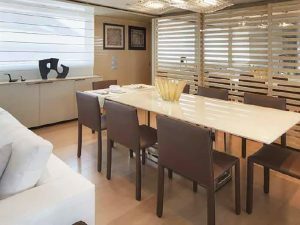 Moving forward, the dining area follows and the galley on the port side. 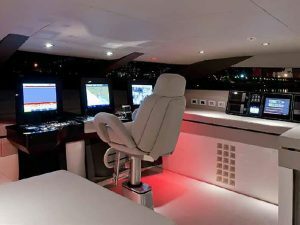 Finally, the main deck is completed with the luxurious master cabin. 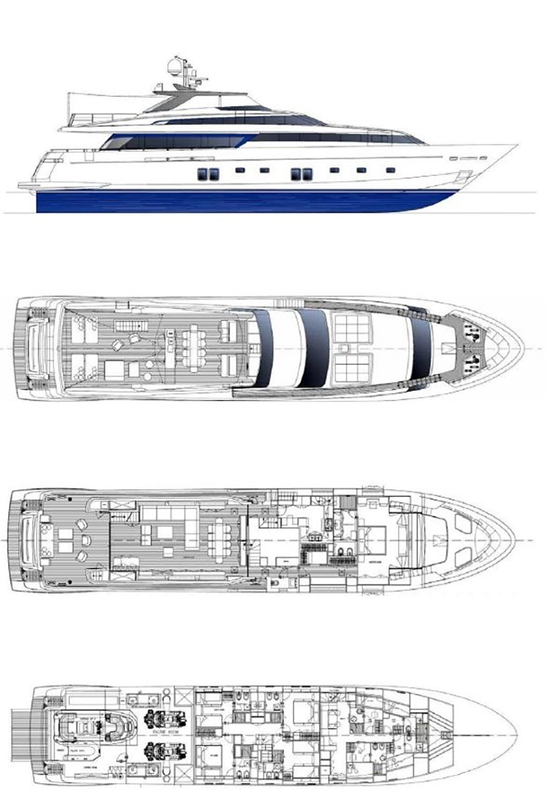 Stepping down to the lower deck, two double VIP cabins and 2 twin cabins complete the layout. 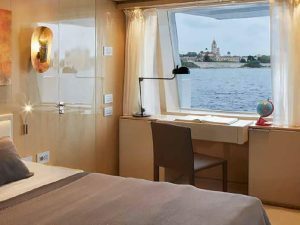 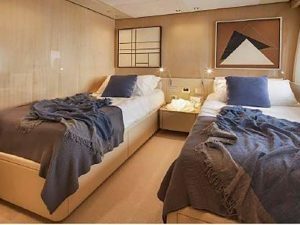 Moreover, the crew cabins are located on the lower deck as well. 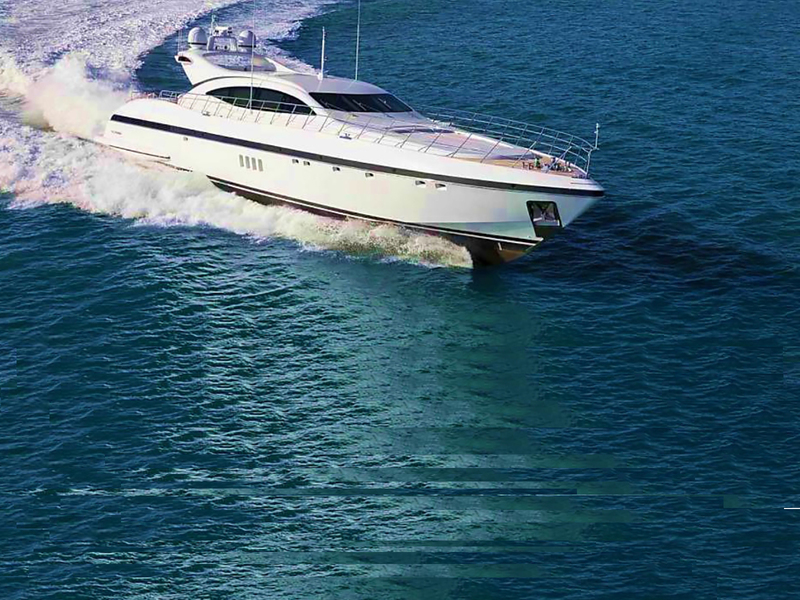 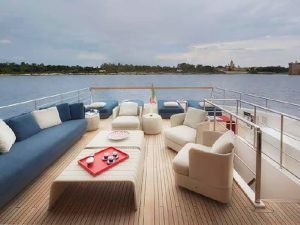 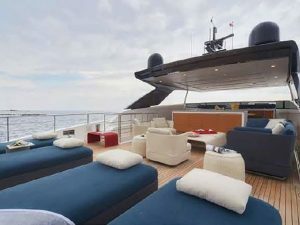 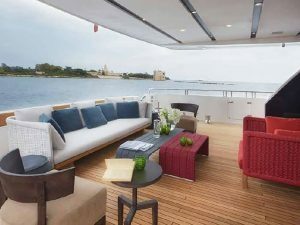 She boasts a large flybridge equipped with “Paola Lenti” deck furniture, sun loungers and a dining table for 8 guest. 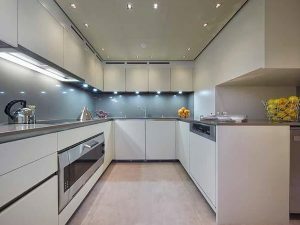 Additionally, there is a hard top covering the dining table. 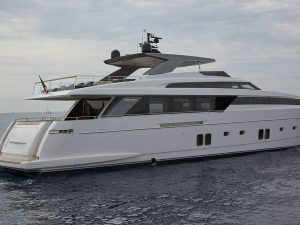 Moreover, another characteristic of her design, are the two gull wing doors located on either side of the master cabin. 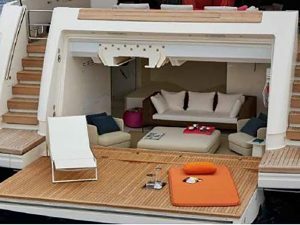 Finally, her tender garage converts into a beach club.